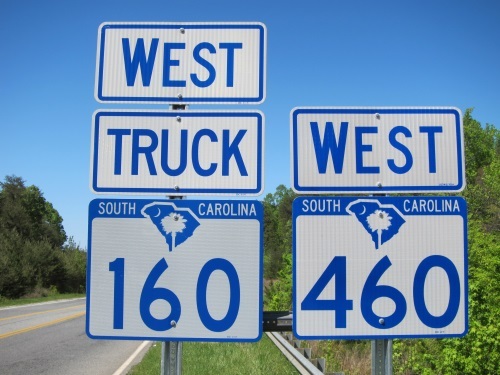 The South Carolina Department of Transportation began moving forward with the second phase of its Rural Roads Safety Program on July 31; targeting an additional 446 miles of rural roadway for safety improvements in a bid to reduce vehicle crashes. She added that nearly 30 percent of South Carolina’s fatal and serious injury motor vehicle crashes are occurring on just over 5 percent, or approximately 1,900 miles, of SCDOT’s road network of more than 41,000 miles. Hall noted that in year one of the agency’s 10-year transportation plan, SCDOT awarded worth of safety improvement contracts for 187 miles of rural roads for safety improvements, with another 276 miles in Phase I of that program currently under development. With the addition of the 446 miles from Phase II of the program, a total of 909 miles worth of rural roads are now slated for a variety of safety improvements, from the addition of rumble strips, high-friction surface treatments and wider/paved roadway shoulders to new guardrails and cable barriers (seen below). “We are looking to keep the momentum going as we work together to make South Carolina roads safer,” she said. Hall pointed out that SCDOT’s rural roads safety program is one of four agency priorities laid out in its 10-year strategic plan, with the other three focused on replacing structurally deficient bridges, road resurfacing and interstate widenings.